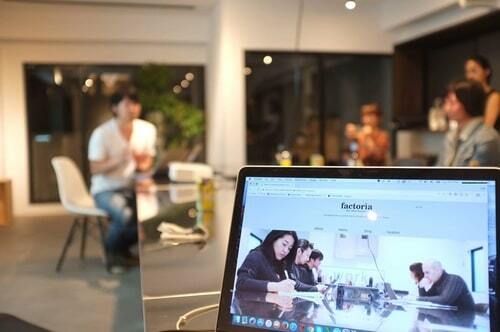 Factoria is bilingual co-working space located in Nishiogikita, Sugainami next to Mitaka station, which is only one minute away. It has a very clean and modern feel to the working space, with opening hours all week long. Meeting rooms are also available. Unlike some other co-working spaces, Factoria is completely a members only facility. Factoria is building a community of entrepreneurs and thinkers who want to work on personal projects and start-ups during their own time, and would want to network and attend seminars over the weekends. So instead of seeing different faces everyday, there is a tighter community that can learn and grow together. Good Work charges 21000 yen per months for its services and is opened during reception hours.